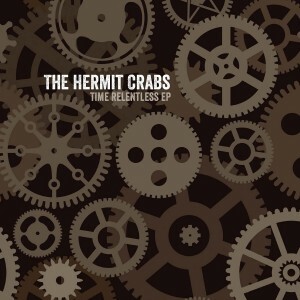 The Time Relentless EP is the first recorded output from Scotland's beloved The Hermit Crabs since 2009. For those not familiar with the band, they produce a shimmering indie pop/folk pop that may remind the listener of fellow Scots Camera Obscura and Belle and Sebastian. The first of the four tracks on Time Relentless EP is the upbeat "On the Spectrum" -- a song based on the comparison of two relationships. Vocals, chords, keys, guitar picking -- this song packs about as much indie pop goodness in three minutes as you could imagine. I expect that it's choice as the opener was deliberate, as is ably dismisses any possible doubts as to whether THC have returned in top form. "On the Spectrum" is followed by the wistful title track, the lyrics of which are supplied by a poem written by a Scottish cyclist. The tune begins in a slow tempo, but soon the chiming guitars and soaring keys take over. The third track, "Stop This Now", is available now as a free download. The EP closes with "So Blue". With a slower tempo and a theme of helping a friend in need, it is a fitting closer to a sweet indie pop triumph. The members of The Hermit Crabs are Mel (vocals/guitar), John (lead guitar), Chris (bass) and Jo (keys/violin). Time Relentless EP is out now on Matinee Recordings. Aaron Embry is working in a timeless style - acoustic country music with guitar, piano and harmonica, and twangy, emotion-filled vocals. Some of these songs would not be out of place in, say, an old Jimmy Stewart western - they're that earnest, spare and plainspoken. Tiny Prayers will be out next week (Sept 18) via Community Music. The Soul Corner - "I'm Your Puppet"
Has there ever been a cooler named duo than James and Bobby Purify? The given names of these Florida native cousins were James Lee Purify and Robert Lee Dickey. Written by the great Dan Penn. 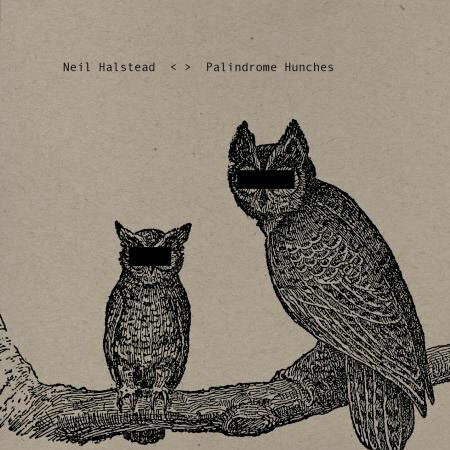 I expect that Neil Halstead wants us to like his music, that he cares about whether we like his music. But I also expect that he would make the music he makes even if we didn't like it. And Neil is a guy with a lot of different things to say, musically. In the '90s, barely 17, the surfer from Cornwall, UK formed beloved shoegazers Slowdive. In the last decade, his vehicle was Americana/dream pop band Mojave 3. And this month, he released Palindrome Hunches, his third solo album. The songs are light in tone, although not necessarily thematically, and follow classic British and American folk traditions. His supporting musicians are from the Band of Hope, including Ben Smith (violin), Drew Milloy (double bass), Paul Whitty (piano), and Tom Crook (guitar). The album was produced by Nick Holton and released by Brushfire Records. One effect of the arrangements featured on Palindrome Hunches is that Halstead's vocals become the primary focal point. With such spare instrumentation, that suggests a risk. But his rich, perfectly modulated tenor is more than up to the task. Of course, it is purely a personal opinion, but I can't think of any other male vocalist that I would prefer in this musical setting. We actually don't bring you a lot of quiet albums on this blog, so when we do, you'll know that we really like them. I like Halstead. I like this album and expect you might as well. 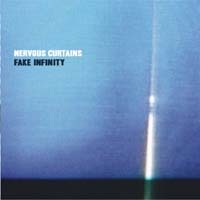 Nervous Curtains "It's The End Of Eternity" from Justin Wilson on Vimeo. This one actually gives a pretty good visual representation of their atmospheric sound - as pointed out previously, and elsewhere, it's evocative and they do a nice job of layering in various keyboards and piano sounds over the drumbeat... and the sometimes toneless, seemingly emotionless vocals complete the picture. The album is Fake Infinity, and it's available now. You can also download "Wired To Make Waves" - click here. Bart and Friends are so generous this year that they have released their second EP of the summer. This record, It's Not the Words You Say, is available from Portland's label Shelflife Records. As before, the players are a indie pop supergroup consisting of Bart Cummings (Cat's Miaow and Hydroplane), Pam Berry (Black Tambourine, The Pines and Castaway Stones), Scott Stevens (Summer Cats and The Earthmen), Mark Monnone (The Lucksmiths), Louis Richter (The Lucksmiths and Mid State Orange). The songs are classic Bart and Friends -- melancholy and hope in equal measure, with jangly guitars, endearing melodies, perfect harmonies and, on this EP, Scott Stevens' lead vocals. It is a six song set that ably showcases Bart's ability to craft concise pop nuggets. Willing to include the material of others, one of their tracks re-imagines "The First Time Ever I Saw Your Face" as a jangle pop song. A perfect little tune about leaving one's lover. Or maybe not leaving one's lover. There seems to be a bit of uncertainty here. Bart and Friends are having a good musical year. I encourage you to share it with them. Our post regarding the earlier 2012 release is here. Ian Hunter is 73 years old, but my word, you would never know it. I saw Mr. Hunter put on a great show in Portland recently. Pure rock'n'roll, a mix of Mott the Hoople classics and solo hits like "Once Bitten, Twice Shy". But surprisingly, many of the standout songs were from a brand new record that was released on Sept 4. Hunter's influences haven't changed much over the decades as there's still a lot of Stones and Dylan in him. Which is all good by me. But there's an impassioned drive here that you just very rarely find in artists at this stage of their career. Or at any stage. Hunter still brings the irresistible British pub rock on "Saint" and "Comfortable (Flyin' Scotsman)". But he also throws a couple nice curveballs, including the Native American inspired "Ta Shunka Witco (Crazy Horse)". Don't miss this show if you get a chance to see it. Father Sculptor has released their final summer song, "Dysmirror". They also have revealed a bit more of themselves. 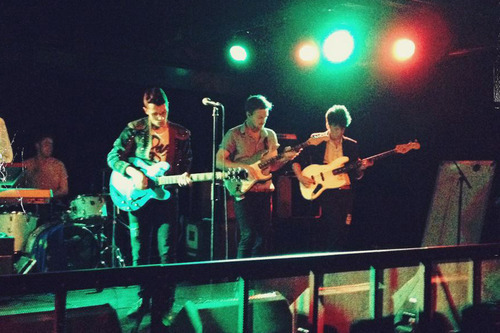 The band is Thomas David (vocals and guitar), Felix (drums), Matthew (keyboard and vocals), Philip (bass) and Joseph (guitar). The band was formed in Glasgow, but I believe some or all members may have relocated to the Manchester environs. They also have been performing live, and will be playing at the We Can Still Picnic collective's Mao Disney launch at Glasgow's Elephants Head Poetry Club on September 15. And the music? "Dysmirror" continues the band's refinement of the glorious melancholy, with soaring, aching vocals and a wall of guitar and synthesizer over a pounding rhythm. We understand that a physical release is planned for the new year. We intend to make room for it. If you didn't download the previous songs of the summer from Father Sculptor, click on over to Bandcamp. You won't regret it. 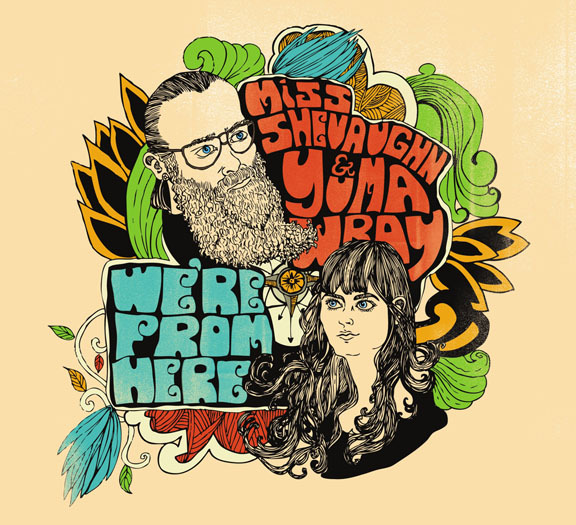 Miss Shevaughn and Yuma Wray have put together a debut record that is simply stunning in its scope and in the sheer size of its sound. We're From Here is a title that apparently grew out of an answer to the question, often asked, "Where are you from?" Shevaughn grew up in Arkansas and Louisiana, and Wray internationally, but their most recent permanent home was Chicago, as good an American music melting pot as you could think of. In working out the songs that comprise We're From Here, they apparently took up residence in their van and travelled the country. Similarly, they imposed no limits on their music. "Make It Out Alive" is an amazing song, one that owes as much to Springsteen as to, say, Emmylou and Gram. It's roots rock with some big-time guitar slinging. Similarly, "Lost My Way" reminds me of Eleventh Dream Day or Sonic Youth, just some tremendous guitar work. But on songs like "The River Made Me Do It", Wray provides some fairly restrained picking over the first two or three minutes, which allows Shevaughn's voice to stay right on top. 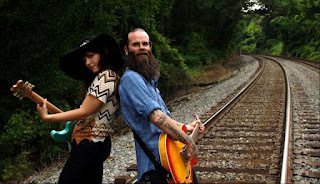 She's an excellent country-rock vocalist, seemingly comfortable with any type of song... and Wray's always ready with some wicked, ragged electric guitar to punctuate things in between choruses. There's not a bad song on the record - Wray's a good vocalist, too, and he takes lead vocals on a few of the songs here: "Make It Out Alive", "Keep On Wailin'" and "Cloin's Lament". Mostly, though, this record is recommended if you like guitars. Whether plucking and bending the strings, as on the pretty "No Grave To Brush The Dust From", or shredding, as they do throughout most of the rest of the album, the quality of the fretwork is uniformly excellent... this is a tremendous debut. It's out today (9/11) and you can learn more at their website, or buy it directly from the band here. The debut LP from Seattle's Seapony made my list of top 30 albums for 2012, and I was eager to hear their Sophomore effort. Falling is released today on Hardly Art, and my verdict is that everything we loved about the Seapony last year is again available for your sonic pleasure. The hooky melodies are engaging, the breathy vocals sweet and easy, and the guitars are excellent. What is slightly different here is all positive. Overall, I think it is a stronger set of songs with a fuller sound, and the guitars seem to have a bit more muscle in this outing. The dream pop field is not uncrowded these days, so standing out from the crowd isn't easy. That Seapony succeeds in doing so is attributable to a few factors in my view. First, the kids write good songs, with melodies that you want to hear again and again. Second, they adroitly stitch together the jangle and fuzz of the C86 era with the DIY naivete of the K Records bands. Seapony is Jen Weidl (guitar, vocals), Danny Rowland (guitar) and Ian Brewer (bass). Falling was recorded in Brewer's home and mixed at the by Bob Schwenkler at K Records' Dub Narcotic Studio in Olympia, Washington. Turn it on -- you won't want to turn it off. 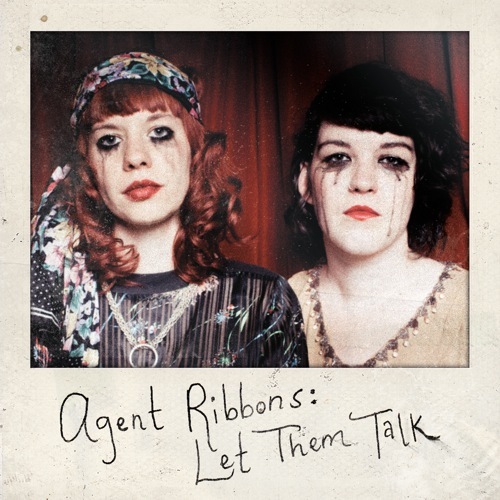 Agent Ribbons is an Austin-based duo playing an engaging style of rock music... someplace where Liz Phair's vocals receive a Spectorish wall of sound treatment, and raw, jangly garage-rock guitars get a little extra dose of reverb. The music is well-made, and striking in both its uniqueness and its similarity to other off-center noise pop or surf rock you already enjoy. You may like the theatricality, or like me, you may just like the music. I'm impressed with all the sound they get from one guitar, a drum kit and two voices... and that's really what kept me coming back to this record. Here's a link to download "Family Haircut". And if you like it, I'll just tell you that it's certainly representative of the whole record. They're good songwriters who have a way with a hook and clever wordplay. It's out September 11 (tomorrow) on Antenna Farm Records. This EP is a precursor for a full-length record due out in 2013. Few bands in the last couple of decades have emerged with a sound that enthralled and captivated me to the extent of Danish duo The Raveonettes. From the opening strains of "Attack of the Ghost Riders" from the Whip It On EP, I was convinced that Sune Rose Wagner and Sharin Foo liked what I like in music. Ten years later with the release of Observator, their sixth full-length, I continue to find some of my most satisfying musical moments in world of The Raveonettes. Don't misunderstand, the sound of Observator is not the three-chord stylish minimalism of the first couple albums. But it also isn't a rejection of the sensibilities that were evident in the The Raveonettes' explosion on the scene in 2002. The group's commitment to surfy, layered, reverb-heavy guitars, Spectorish walls of sound, primarily female lead vocals, a Buddy Holly simplicity to the melody and a distinct, but straightforward, rhythm structure remain. What is changed, to my mind, simply reflects life. The lives of Wagner and Foo have become more complex, layered and exposed to the darkness we all see as we live and age. As artists, their experience is reflected in their music. Of course, a nod to the dark and rough side was always a part of the lyrical themes. But in the early years, it felt to be as much of a stylistic choice as it was a commentary. Certainly now, and perhaps beginning as far back as 2008's Lust, Lust, Lust, Wagner and Foo are consciously examining, rather that iconizing, darker themes. Accordingly, limitations, self-destructive tendencies, disappointments, despair, and death are present, as well as the redemption and triumph we all strive to find when faced with defeat. And the sound is more complex as well, with additional guitar layers, synths and, for the first time, a piano. While that the sound is glorious, I think it is more important to note that the current version of The Raveonettes transcends their stylish garage pop beginnings; they may now be the best dream pop band in pop music today. The album starts out with a challenge to expectations, a stripped-down Americana song with a piano as the featured instrument. Didn't expect that, did you? The album's atmosphere turns darker and denser on "Observations", and the excellent following track, "Curse the Night". But the pace and tone tick up appreciably with jangle/dream pop of "The Enemy", the rocking "Sinking with the Sun", and the following tracks. And perhaps because I'm an optimist, it is the sixth track that sums up the album for me. "She Owns the Streets" is inspired by a New York performance artist. The song celebrates the notion of following your own path, and defining triumph and success on your own terms. Even more special, the official video feature the subject artist, as well as cameos by Sune and Sharin. On Observator The Raveonettes continue to merge their own Scandinavian take on American music with a willingness to explore the possibilities of electronica. Happily, the hallmarks of their career career remain: Sune is a great guitarist; Sharin is a note-perfect performer; and both have an impeccable feel for style. At the end of the road, when a two or three disc Greatest Hits of The Raveonettes is released, it will justifiably include several songs from Observator. For now, it simply is one of my favorite albums of the year so far. Observator is released tomorrow, September 11, on Vice Records.